I was delighted to be chosen as the "Swatcher of the Month" for May's Polish Pickup theme: Science! Makers aren't required to send to SOTM so there may be a few missing from my round up, but the majority will be posted here! What is Polish Pickup you ask? 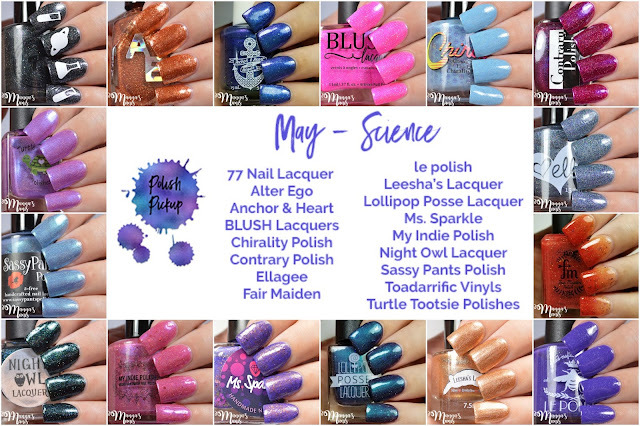 Polish Pickup offers a fun, interactive experience that allows you to submit theme ideas, vote for your favorite theme, and selectively purchase your favorite polishes every month. 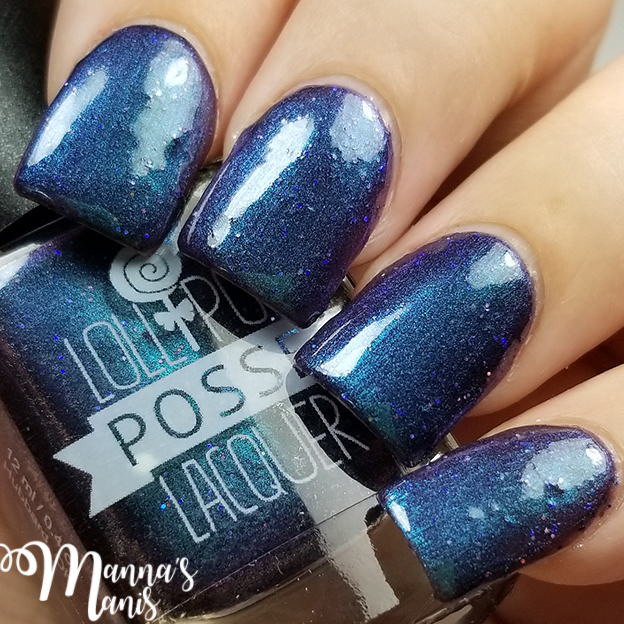 There's going to be so many pics, to keep things short and sweet, unless I mention a problem I had with a polish, that means it was perfect for me and I had no issues with formula or application! 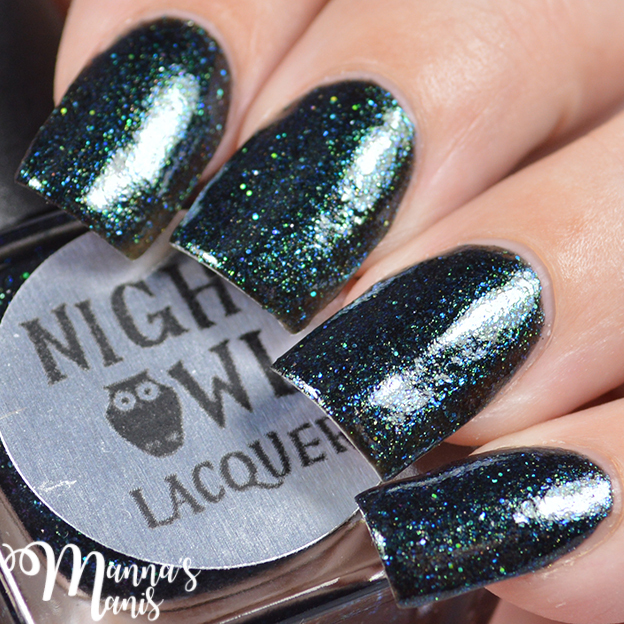 A Galaxy Far, Far Away is a black polish with scattered holo, various shimmers and microglitters. My swatches above show 2 coats with top coat. From AE: "Scientifically speaking, copper is a metal alloy that falls under materials science. It is one of the few metallics that is not gray or silver; freshly mined it is orangish-reddish and acquires a more pronounced reddish tarnish when first exposed to the air. 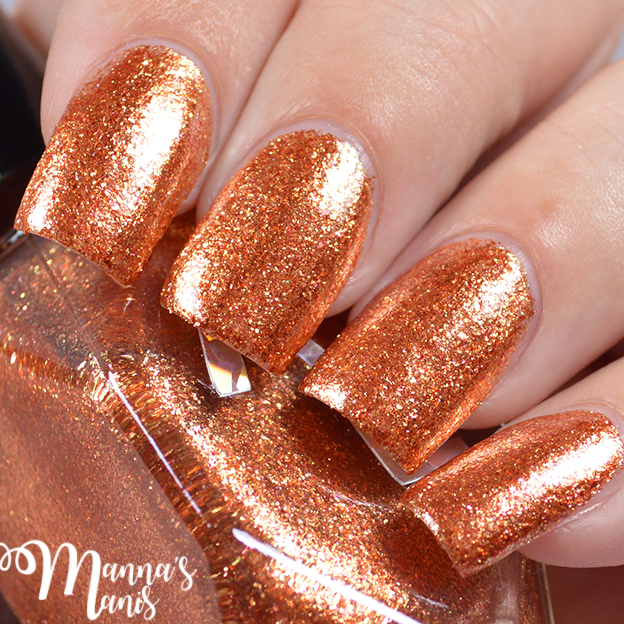 Now that we have that textbook definition out of the way, here is the real meaning of copper :) Copper is one of the Seven Noble Metals of the Ancients and it is ruled by Venus! Venus is the goddess of love, beauty, art, balance, harmony and peace. Copper combines easily with other metals and transfers warmth and electricity. When yous create your amulets and cast your spells use copper to promote love, sensuality, positive relationships of all kinds, negotiations and above all, peace." My swatches above show 3 coats with top coat. 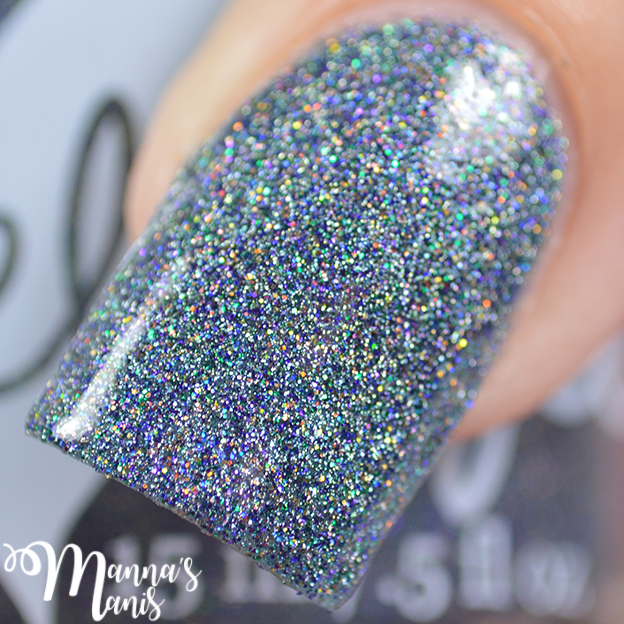 You may benefit from the dabbing method with this one because it's a full coverage glitter. 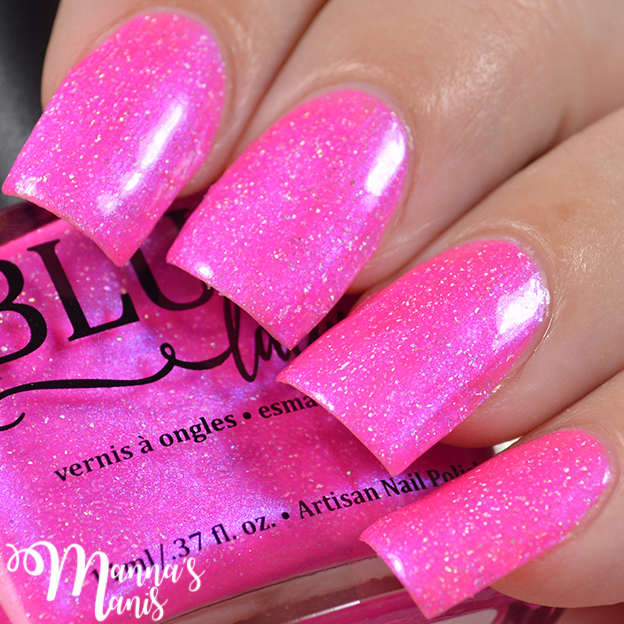 Electric Bloom is a neon magenta pink with a blue shimmer and holographic flakies. More neon in person than my pictures captured. Swatches above are 2 coats with top coat. Fuchs' Crypt is a pale blue with various flakes and glitters. My swatches above show 3 thin coats with top coat. Dries kind of gritty so you may need double top coat. Price will be $10. Feel the Spark was inspired by this gorgeous picture of a Tesla coil. 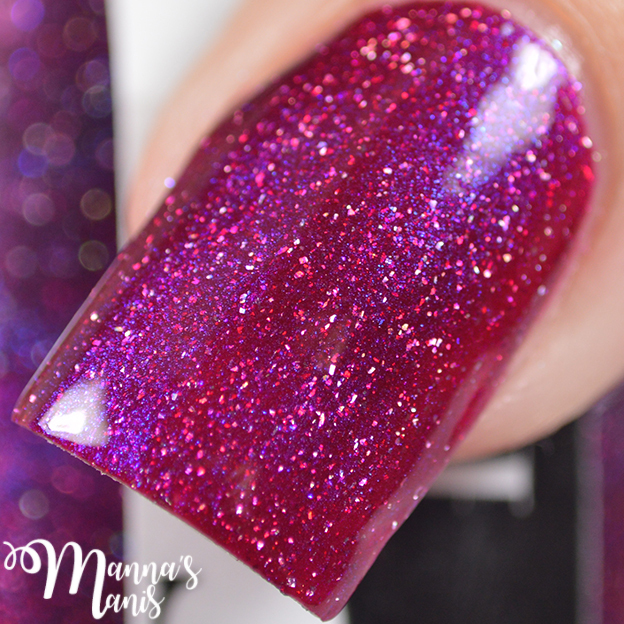 It has a deep magenta base with strong purple shimmer and holo micro flakes. My swatches above show 2 thick coats with top coat. 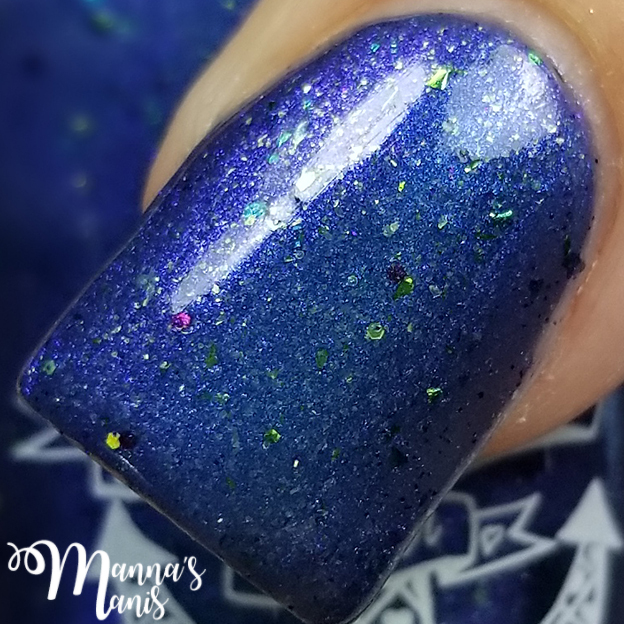 She Blinded Me With Science is a a smokey blue jelly with microglitter in a rainbow of colors. 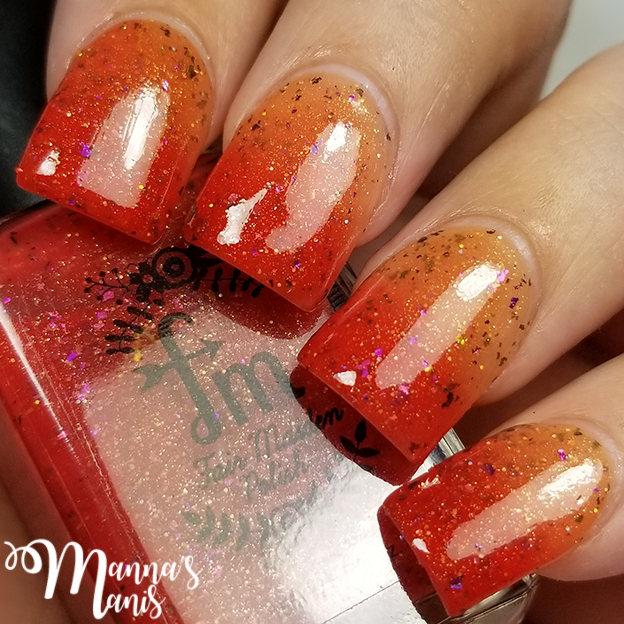 My swatches above show 3 thin coats. Dries slightly gritty. 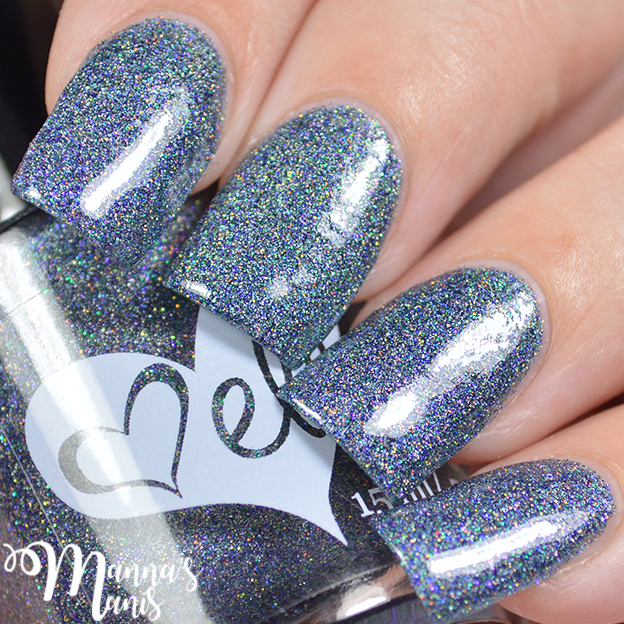 Breathe Easy is a medium purple with green shimmer and iridescent flakies. Inspired by a visual depiction of air emissions modeling. Basically a program is used to predict the airborne travel of emissions from a stack based on topography and meteorological conditions (this is what the creator of le polish does for her day job!) Swatches above show 3 coats with top coat. Some of the bigger flakes tended to drag a bit on the nail and brush. 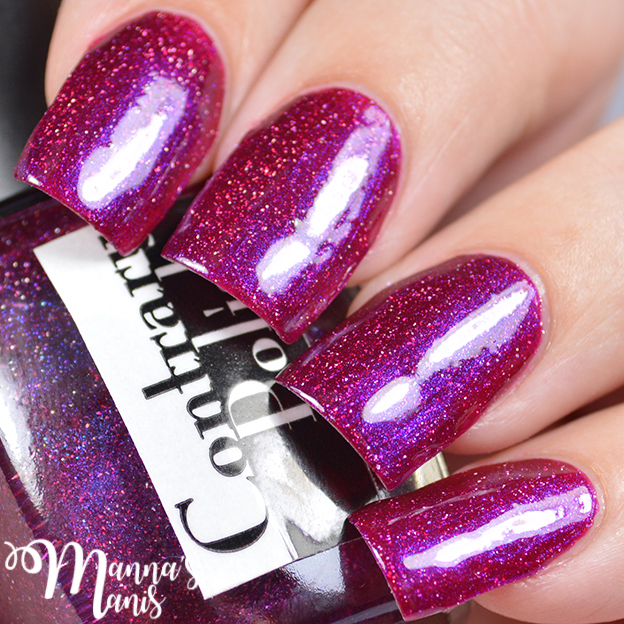 GJ 504B (The Pink Planet) is a pinkish purple filled with scattered holo and glitters of various sizes, shapes, and colors. 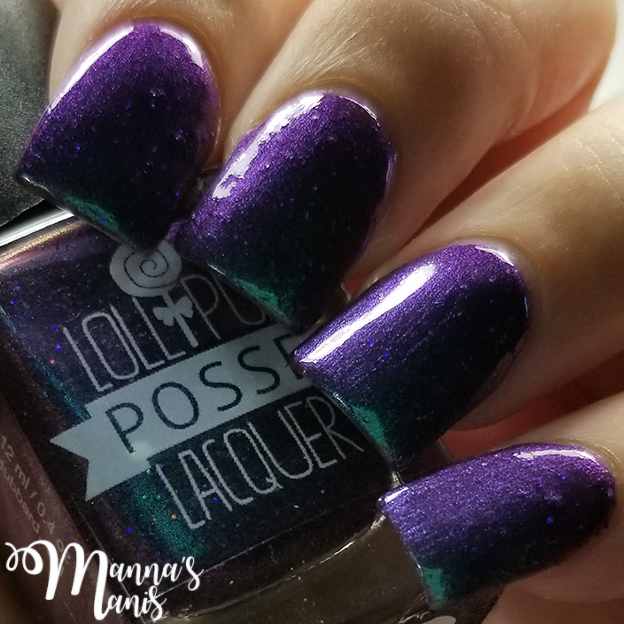 My swatches above show 3 coats with top coat. 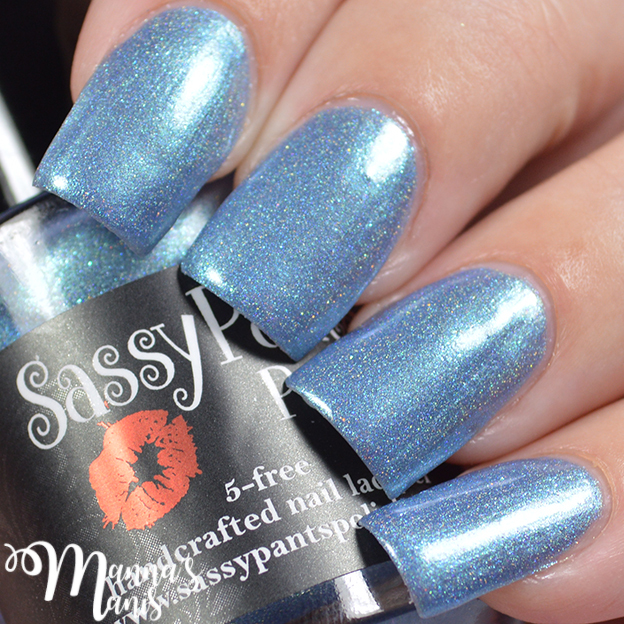 Bioluminescence is a light ocean blue with an ethereal glow twinkling with assorted shimmers. My swatches above show 3 coats with top coat. Price will be $12. 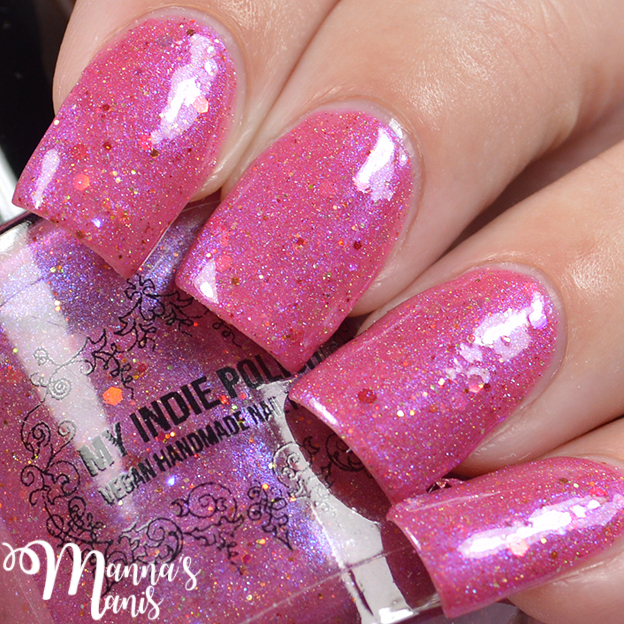 Argon is a pink/purple holographic multichrome with irridescent flakies as well as neon pink and purple micro flakies. 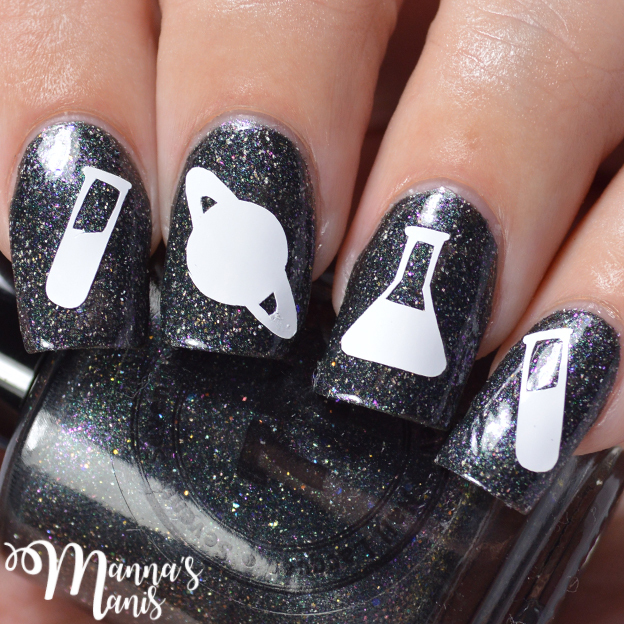 Inspired by the periodic table atomic element #18, Argon. My swatches above show 3 coats with top coat. 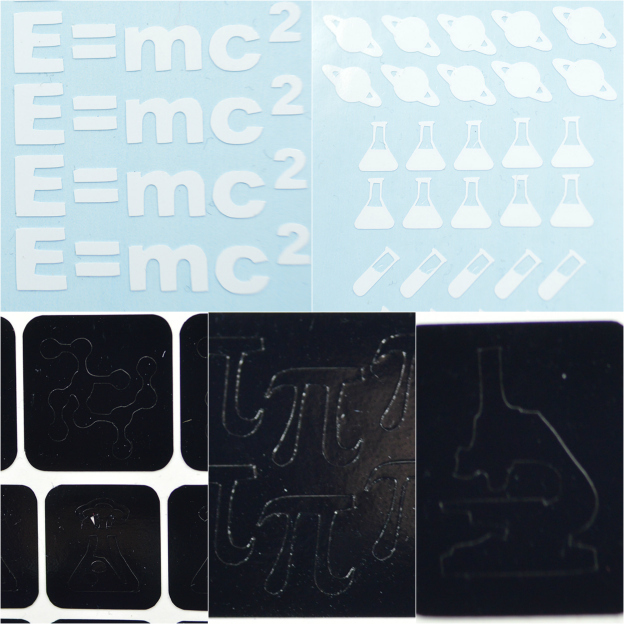 Toadarrific vinyls will be offering these awesome vinyls/decals in the shop as well! 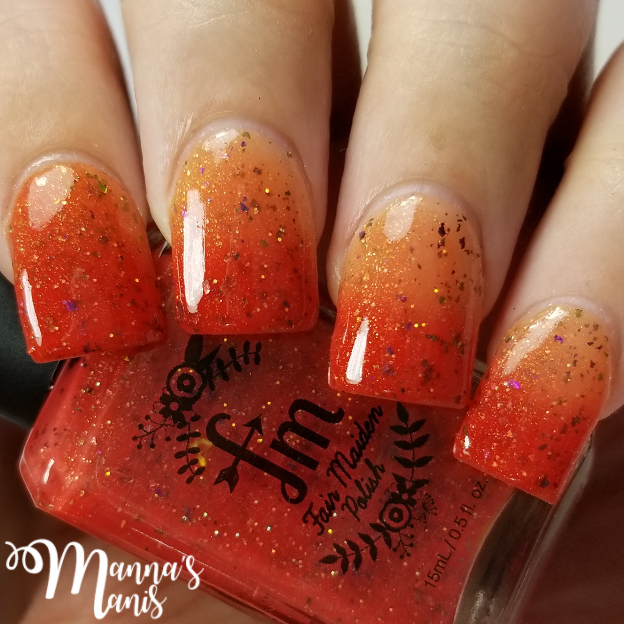 I've paired them with 77 Nail Lacquer A Galaxy Far, Far Away above. 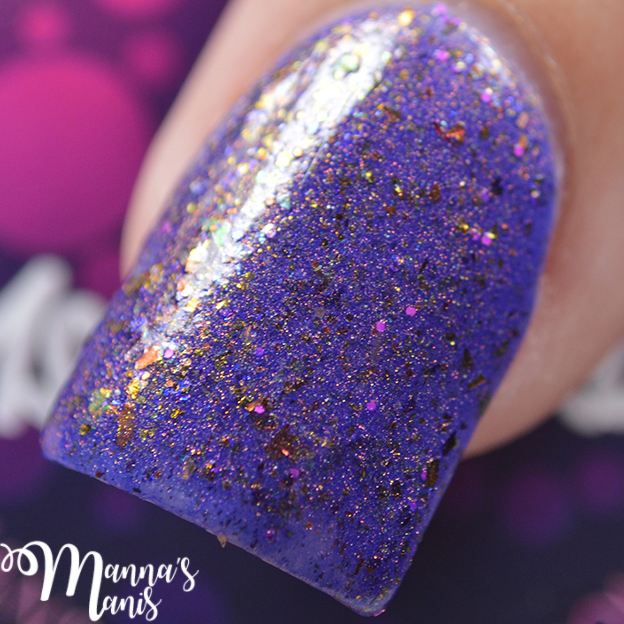 Ephedrine Vapour is a bright purple polish filled with gold flakes and scattered holo. 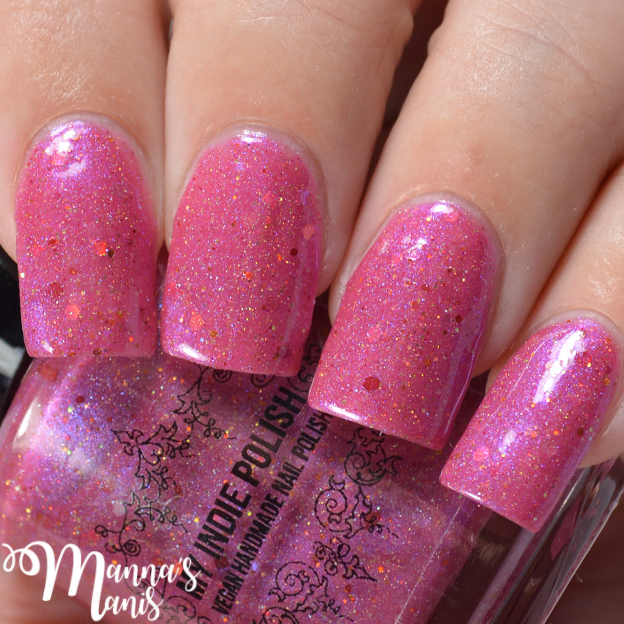 My swatches above show 3 thin coats with top coat. 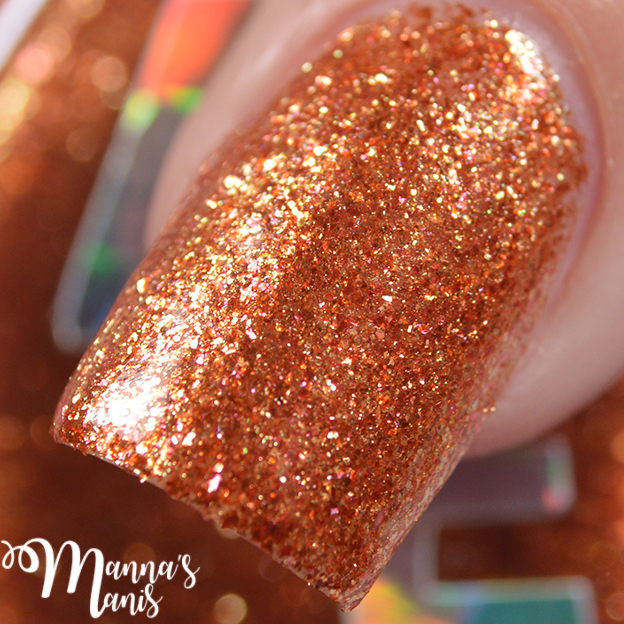 Inspired by Element #29 on the periodic table, this is a copper scattered holo. 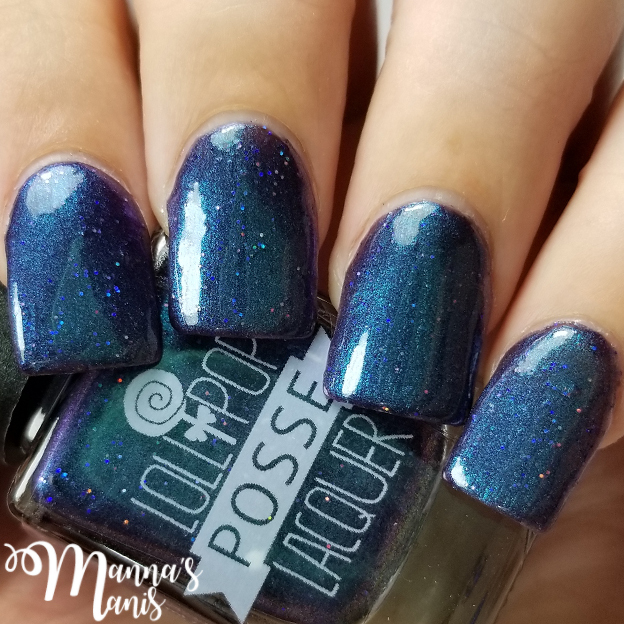 My swatches show 2 coats with top coat. Solar Flare is a red when cold, yellow when warm thermal. It has fiery multrichromatic shifting flakes that change from magenta-bronze-gold-green. 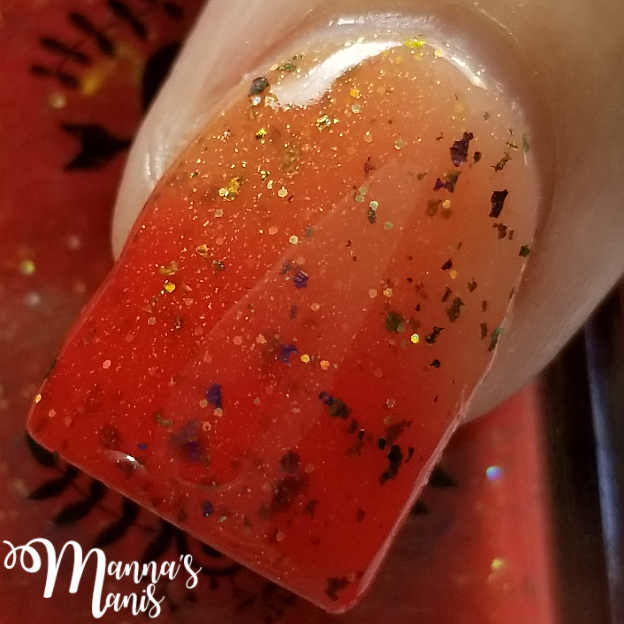 Finished with a touch of golden green shimmer and holo throughout. 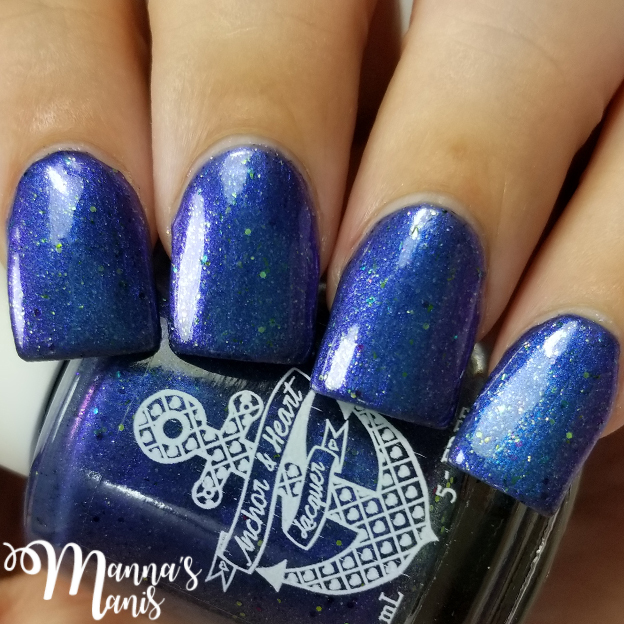 My swatches above show 2 coats. 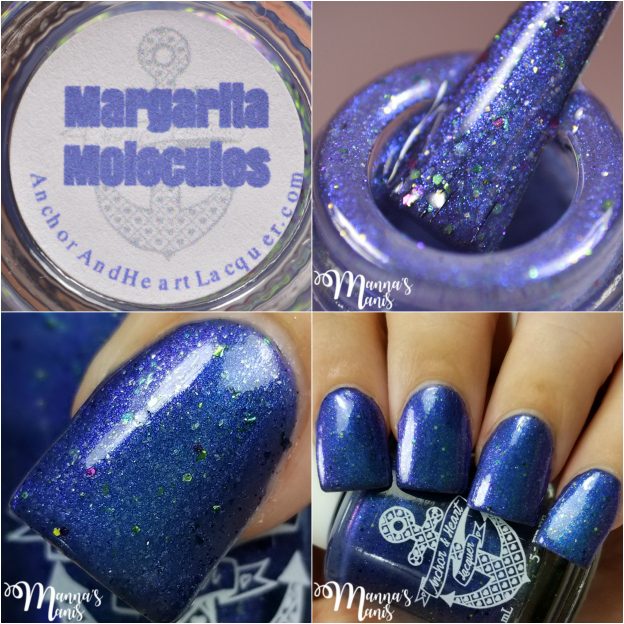 Margarita Molecules is a dark blue with subtle purple shift and scattered holo, lime green-blue ICC flakies, and purple and lime green holo glitter in multiple sizes. Inspired by a margarita under microscope! 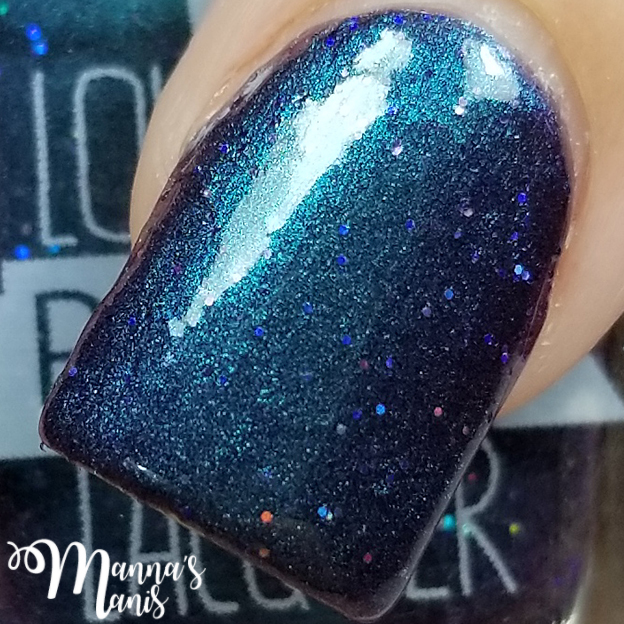 My swatches above show 3 coats. 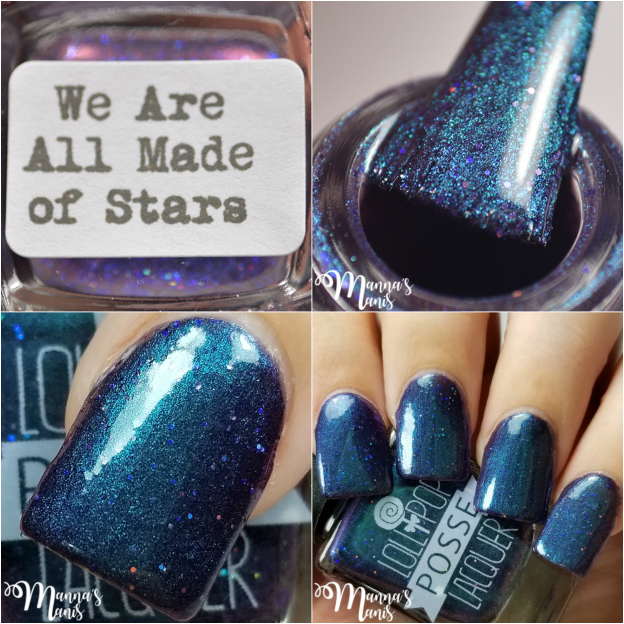 We Are All Made of Stars is a teal to purple duochrome with a blackened-purple base, that is studded with purple holographic microglitters. 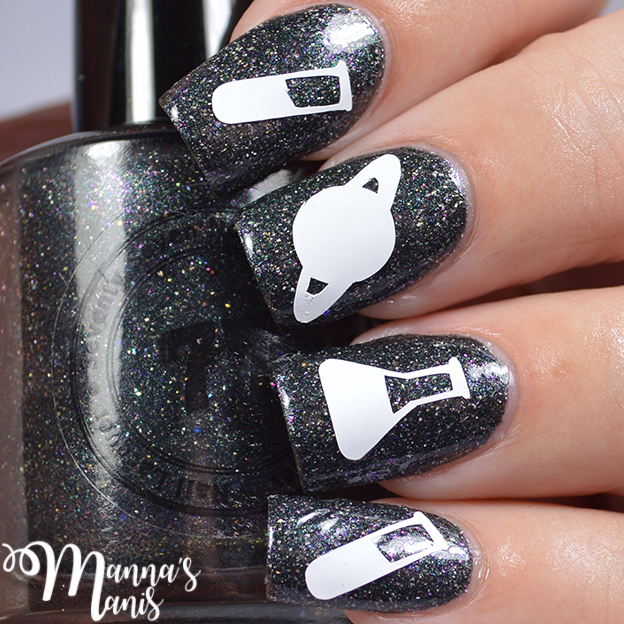 You may need to double up on the top coat. 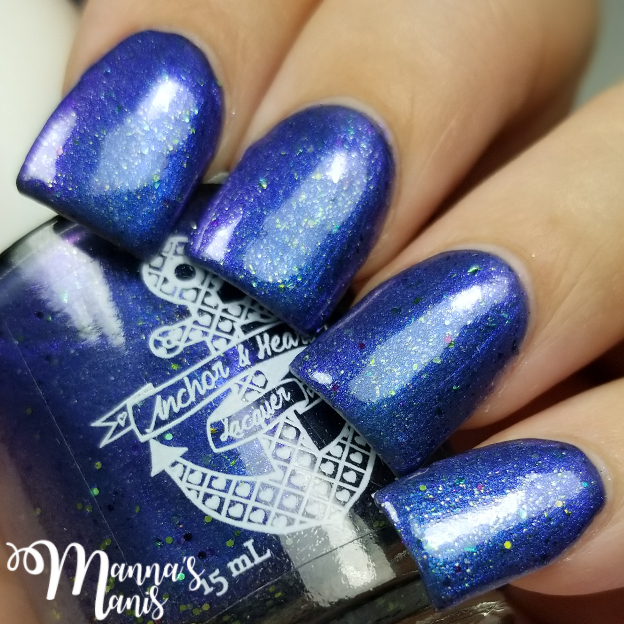 My swatches show 3 thin coats. Note: Fair Maiden are the organizers of Polish Pickup. All makers send their orders to them, and each order is boxed up into ONE box and shipped to you! No international shipping at this time.